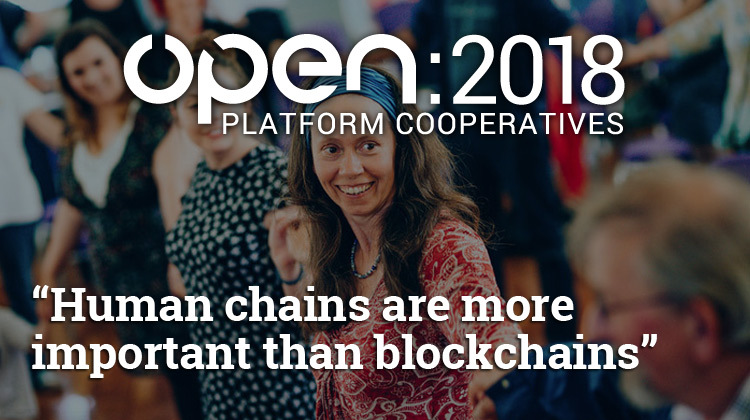 OPEN 2018 is not just about showcasing platform co-ops. It’s about the ownership revolution and forging a path to a collaborative, sustainable economy. 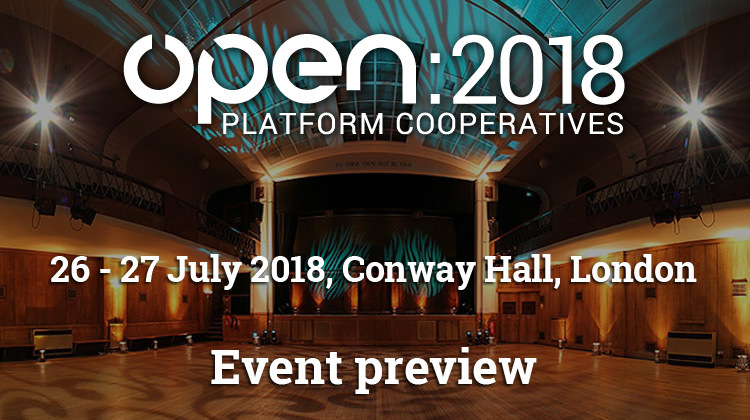 OPEN 2018 is about making that vision a reality – and collaborating to define the practical steps and the actions we can take, right now, to make it happen. It’s about doing more together. We’re all aware of the systemic issues which plague the present, dominant social paradigm. So we’re going to skip all that – and focuses in on the solutions and questions we need to answer to create a model which makes the present system obsolete. To actually realise the vision we strive for we need to get organised – and learn how to really cooperate. We have strength in our diversity, but whilst we remain in our disparate and poorly linked bubbles we are not exercising our true potential – we are not benefiting from the network effect! 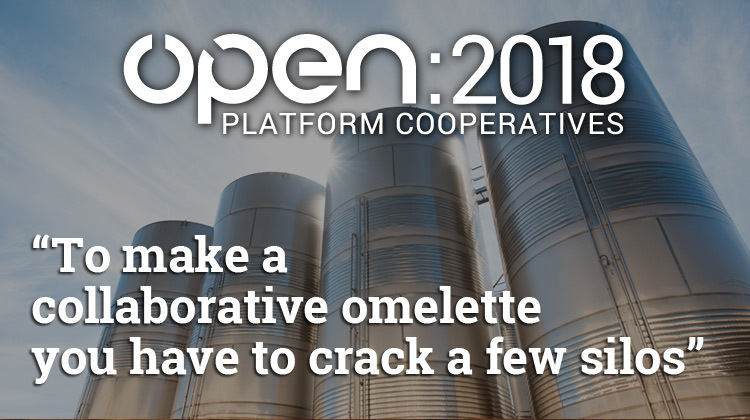 To make a collaborative omelette you have to crack a few silos – and that is what OPEN 2018 is about. The internet is a phenomenal tool – but we’re only just working out how to liberate it from the greedy hands of the dominant faceless corporations. Once we do that we will be much better off, but we can not rely on technology to create the world we want. 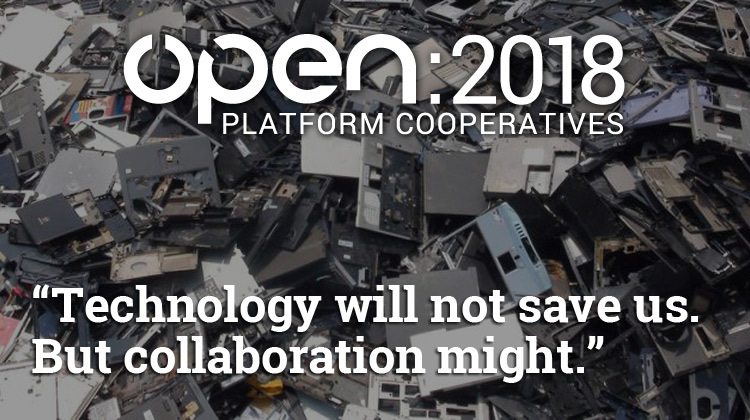 Technology will not save us – but collaboration might. There are a number of obvious starting points to enable better organisation – the most obvious of all being “the mapping project”. Without a decent directory or map of all the individuals and organisations that are working on the same vision how are we supposed to navigate? How can we find the others with the expertise we need to help us make the right choices and move forward? Recognising this, and that we are not the only people wanting a way out of the dark, we have organised a dedicated working session on mapping – pulling together organisations from several different countries who are working on the same objective – with a view to developing a steering group focused on “Developing taxonomies for describing co-ops and solidarity organisations” using Linked Open Data. 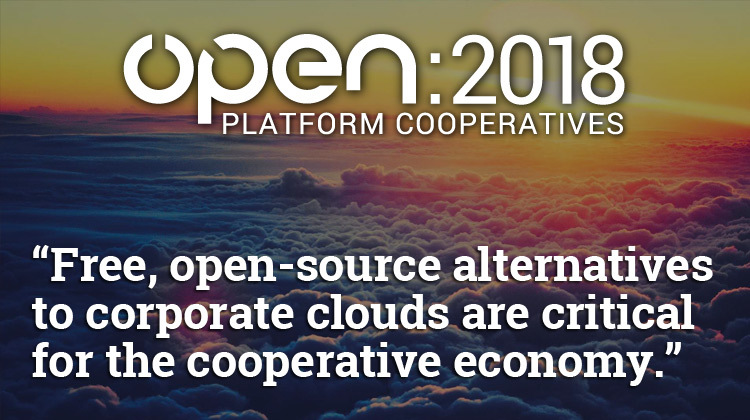 Another key project for The Open Co-op is the “co-op cloud” idea. Put simply, this is a suite of open source tools which any group, or co-op, can use to work together. We’re inundated with choices about which software and which tools to use these-days… and the majority of us still use proprietary, closed source systems owned by faceless corporations. If we’re going to crack this collaborative egg and come together to do more together that has to change. So we’re also running a working session on the “co-op cloud”. We’re also going to talk about money. But rather than get distracted by crypto, ICOs and technical implementation, we’ll be taking the discussion right back to base principles and asking the experts, what sorts of signals and transactions are appropriate within a collaborative, generative economy? And, if we were to have one, what would be the purpose of a “Co-op coin”? How would it be issued, managed, governed and – ultimately, taken out of circulation – after all money is not the objective – it is simply an agreement – so if we’re going to have new money we need agreements. And finally, but equally as importantly, we’re going to build on our Q&As and talk about the changing narrative which weaves all these different threads together. 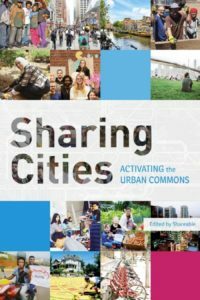 To date we have been trying to build a collaborative economy working by the same rules, and from the same set of assumptions as the neoliberals – whose world-view, of “Homo economicus” and “selfish interest” dominates the noosphere today. The ontology of capitalism pervades every aspect of not only our working world but also our personal lives and if our revolution is going to succeed we need to formulate a new framework – a new world-view based on a different set of assumptions about how the world works – which matches our vision – and provides the most inclusive foundations for a world of abundance and co-operation. There are a huge range of sessions lined up – on Joining the dots, Networking the networks, Growing the commons, and Decision-making for participatory democracy – there’s simply too much to list here, so please see the full programme for more details. It’s not all set in stone either – we have ten open space sessions which allow attendees to set the topic – book your ticket, join our Loomio group, get involved and have your say. We’re also going to be voting. And not just on Sli.do but with our feet, by following the law of two feet which says that “every individual has two feet, and must be prepared to use them”, so if you’re not getting anything out of, or adding input to, the discussion you’re involved in please, vote with your feet. For the final session, on Friday afternoon, we are very proud to have Niki Okuk coming all the way over from Compton, CA, to talk to us alongside Guy Watson from Riverford Organic about putting the employees in charge. Both Niki any Guy are amazing speakers, that have founded and run very successful businesses which place people and planet before profit – they are all the proof you need that another world is possible. Check out Niki’s TED talk (with over 1 million views) and Guy’s video about how business can be a force for good. We have over 50 speakers coming from all over the world to share their expertise – and it is thanks to them that this event is possible. Please join us to help create a more sustainable future, there are still a few tickets available. We look forward to seeing you on the 26th at Conway Hall.